I love, love, love spending a weekend at a festival with the kids. Some of them can be pricey but when you consider how much you'd spend on camping and individual gig tickets, I think they usually work out to be pretty good value for money. Festivals are usually a very laid back affair and allow a little relaxation, a chance for the grown-ups to enjoy a tipple or two, time to laugh, time to dance and really let your hair down. Over the last few years, more and more festivals have popped up closer to home and today I'm sharing 10 festivals which are less than a 3-hour drive from Newcastle. Prices quoted do not include booking fees and as always, please double check all details before booking as things can change. Tickets: £26 (adult) and £8 (child 5-15 years). Under 5s are free. Car park is £2. Our Thoughts: There are family-friendly activities planned throughout the day. This is a non-camping festival and not too far away - perfect for a little day trip over bank holiday weekend. Tickets: Day tickets from £20 per adult & £15 per child, weekend passes are priced at £50 per adult and £30 per child. Under 5s are 1p. Parking is priced at £5 and a camping pass is £15 per tent. Line-up: An eclectic mix including The Urban Voodoo Machine, The Undercover Hippy, Town of Cats and Gaz Brookfield. Our Thoughts: A laid-back festival designed to help you enjoy the arts, music and simple things in life. There are just two stages, free craft workshops, stalls, street theatre, open-mic sessions, comedy a play park, free face painting, water sports, craft stalls and activities and more. The site is accessible, almost flat and has disabled toilets and showers on site. Tickets: Day tickets are available from £7.50 (adult) and £4.50 (child). Weekend tickets including camping are available from £35 (adult) and £9 (child). Under 5s are free. Electric Hook-up is £30 and VIP Toilets and Showers are £15. Line-up: Celtic Man, Thieves of Liberty, Third Beat Drop. Our Thoughts: Celebrating the VW Campervan, this year's theme is Hawaiin and there's lots going on with 4 stages of live music, free workshops, show and shine, a large camping field and entertainment for the whole family in a fabulous setting. Tickets: Day tickets are available from £37.80 (adult) or £21.60 (child). Under 10s are free. Weekend tickets are available from £54 (adult) and £32.40 (child). Under 10s are free. Weekend camping is priced at £21.60 (for up to 6 people) and parking is free. Line-up: The Baghdaddies and Reef - more to be announced soon. Our Thoughts: The Corbridge Festival is back after it's little break and if I wasn't already booked on a hen party this weekend, we'd be buying tickets. We stayed a few years ago and it was a canny festival for the price. 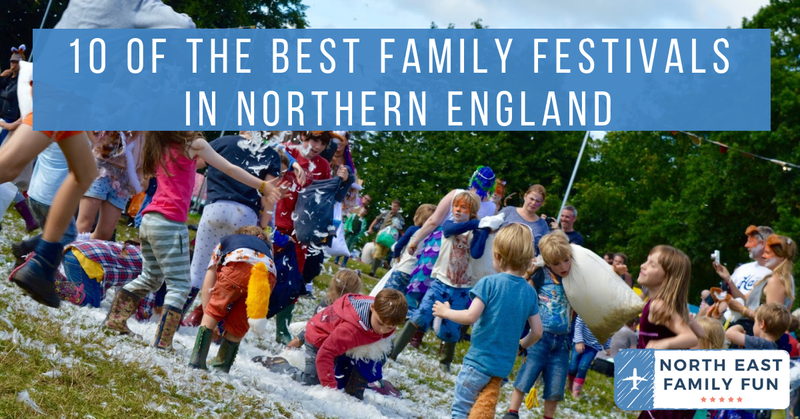 This year's festival is focussing on family with over 40 acts performing across 3 stages, a kids zone, cabaret tent, circus tent, workshops, science shows, jugglers, street performers, a fairground and more. Children under 10 are FREE. You can read our review from 2016 here. Tickets: Weekend tickets (3 days including camping) are available from £132 (adult), £55 (13-15years), £22 (6-12 years) and under 5s are free. I love that a 6 month payment plan is also available and you can spread the cost. 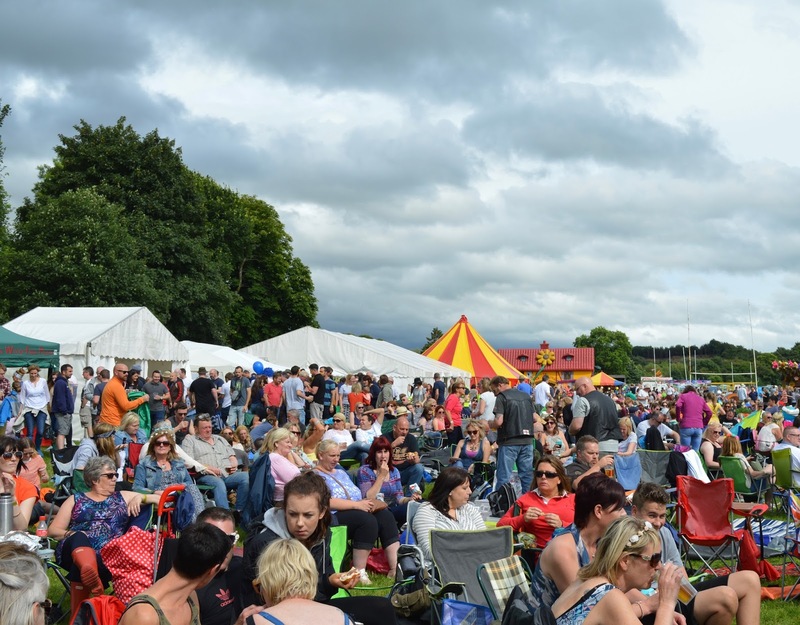 Our Thoughts: This festival usually includes a cracking band line-up and there's a dedicated kids area, fairground, food market, yoga area, comedy and more. You can read Nomipalony's review from last year here. PS I appreciate this one is in Scotland and not Northern England but it sounds too good not to include. Tickets: Adult weekend camping tickets cost £143.75, teen weekend camping tickets are £88.25, child weekend camping tickets are £22 and under 5s are free. A monthly payment plan is also available. 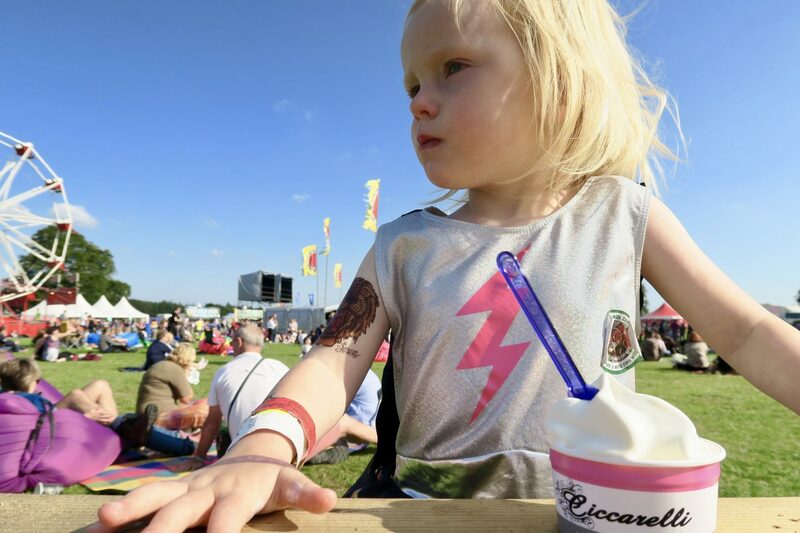 Our Thoughts: With over 10 stages, a variety of areas, a food market and two dedicated kids zones, Kendal Calling is perfect for families looking for a larger festival in the North. 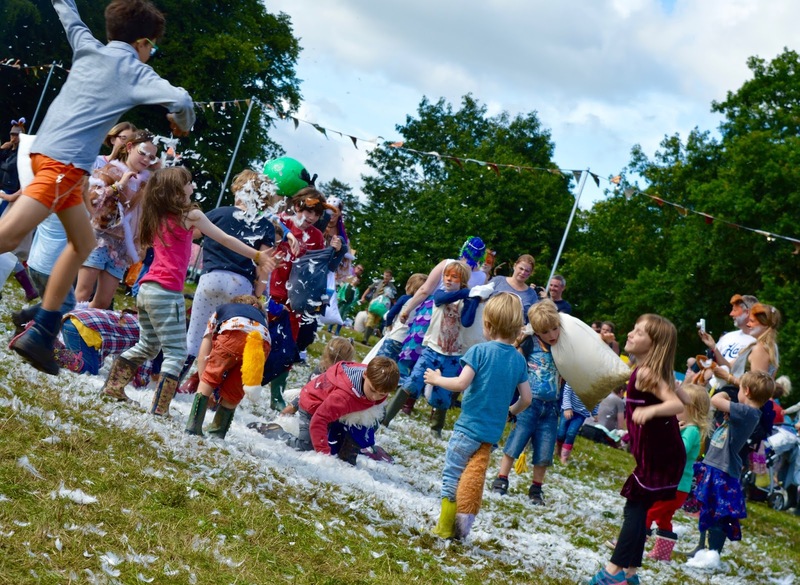 There's a kids cinema, arts, crafts and science experiments, ball pools, mini discos, a chance to unleash your inner rock star, fairground rides, Tiny Time Peaks and more - plenty to keep little ones entertained. 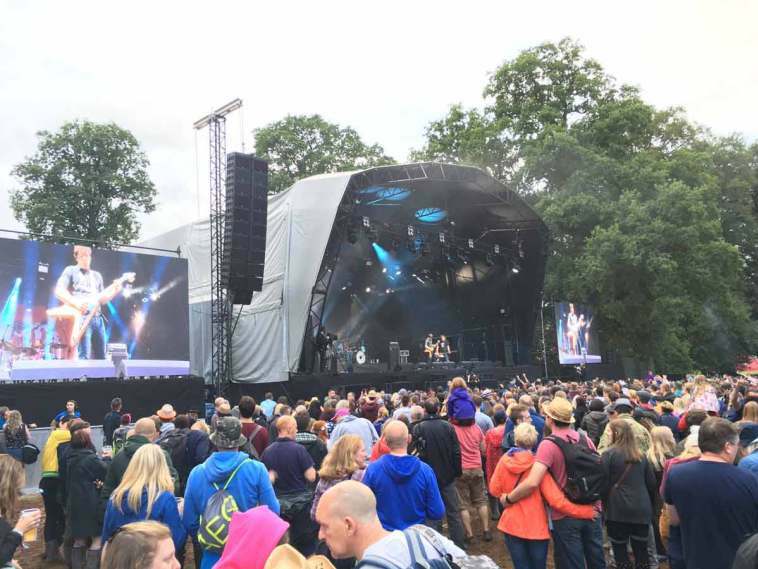 Check out this review of Kendal Calling 2016 by Here Come the Hoopers. 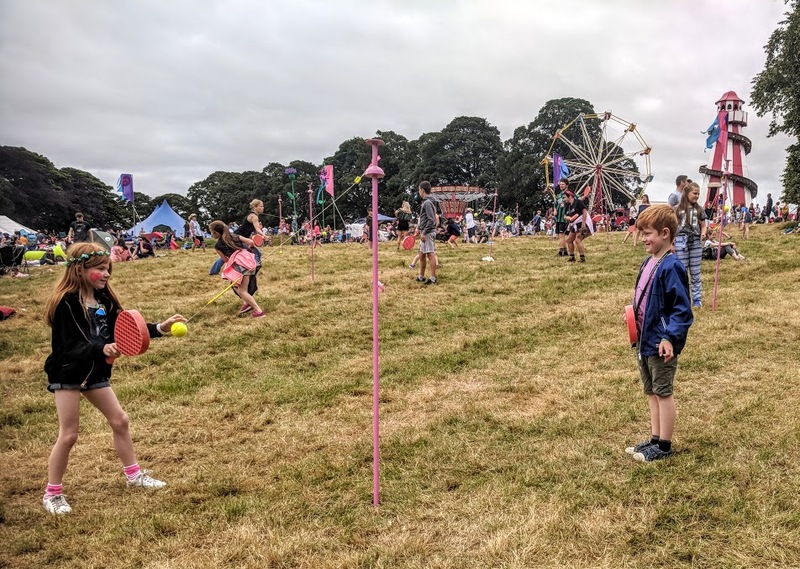 Our Thoughts: Deershed Festival is one of our favourites and the festival we'd recommend if you have tweens/younger teens. There's loads going on from comedy performances to live music, a fairground, eco-area, sports field, science tent and more. Check out our review of Deershed 2018 here. Tickets: Adult weekend tickets are available from £132.50, tickets for kids and teens will set you back £45 and under 7s are free. Our Thoughts: Underneath the Stars is a music and arts festival where children are actively encouraged to run around and have fun. Expect music, crafts, food, circus activities, storytellers, art installations and more. Tickets: Adult weekend tickets are available from £85, children's weekend tickets are available from £45 and under 5s are free. Car parking is £10. Various VIP upgrades are available. Our Thoughts: Tribfest is a big tribute band festival with 6 stages and its own kid's zone. Tribfest has been nominated for best family festival in the past and is one of the more affordable weekend festivals. 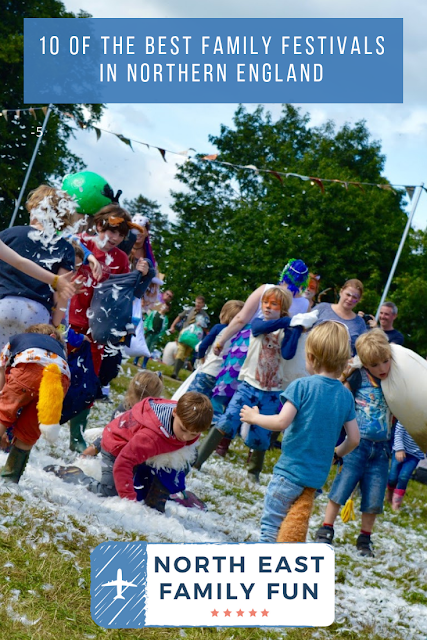 Our Thoughts: Just So Festival is incredible and I'd especially recommend for families with children aged 2-10. There's so much going on from pillow fights to stories around the campfire, midnight feasts, music, the tribal tournament and more. Check out our review of Just So 2016 here. Will you be booking a festival this year? Which one takes your fancy?